Our registration number with the Information Commissioner’s Office is ZA354907.  We will refer to Logistic Solutions UK and Europe Limited as (‘Company’, “us”, “we”, or “our”) which operates http://www.logsol.net/ “the Site”. The majority of the data that we collect, and store will be business data relating to the customer that we are dealing with and contracts that are being undertaken. The personal data will relate to individual contacts with our customers. We may also hold personal data for prospective contacts and customers, such details being obtained from publicly available data or specialist third party suppliers. As part of our business and marketing processes we will process limited personal data to include your name, email address job title, IP address, mobile phone number (where applicable). We rarely deal with consumers directly. We use your personal information to provide you with quotes, services, ensure safe delivery and to keep in touch with our customer base and contacts with targeted emails and marketing content. We are aware that customers and contacts will also be accessing our website and that by accessing the Site, you agree to the collection and use of information in accordance with this Policy. 2. To carry out our obligations arising from any contracts entered into between you and us. 3. To provide you with billing information in relation to our Company. 5. To notify you about changes to our Company. 6. In a collective way not referable to any particular individual, for the purpose of quality control and improvement of our site. We may hold limited personal data which has been provided to us for research purposes under contract from a third party. We will only hold such personal data on you if you have given positive consent to take part in such research, by the receipt of products from the third party, who has contracted our business to ensure the delivery of such items to you. We may also process limited personal data of potential customers and contacts for the purposes of the legitimate interests of the Company. We have a legitimate interest in undertaking targeted marketing of our services to existing customers and contacts we think may be interested in such services. We have balanced this legitimate interest of the Company against the rights of the individual and do not conclude this is unreasonable as at all times the data subject has a right to be forgotten and their personal details deleted. We take all reasonable steps to ensure we have the correct Personal Information on you. You have the right to ask us for a copy of the information supplied by you that we hold. We may ask you to verify your identity and for more information about your request. If you would like to make a request for information, please contact 01604 678450. We undertake to ensure the protection and security of Personal Data that You choose to communicate, in order to ensure the confidentiality of Your Personal Data and prevent Your Personal Data from being distorted, damaged, destroyed or disclosed to unauthorised parties. We maintain reasonable physical, electronic, and procedural safeguards to protect Personal Data from loss, misuse and unauthorised access, disclosure, alternation and destruction. As part of those safeguards we use sophisticated technology designed to protect Personal Data during its transmission and prevent transmission errors or unauthorised acts of third parties. Data protection legislation is harmonised throughout the European Economic Area (‘EEA’) which comprises the EU member states, Norway, Iceland and Liechtenstein. Countries outside the EEA do not generally have the same level of protection for personal information as those within the EEA. However, we may need to transfer personal data outside the EEA in limited circumstances where our trade partners and suppliers may need to hold data, for example when dealing with maintenance contracts. We will ensure such partners have measures in place to protect the personal data that they hold. You can revoke any consent you have given us under this Policy at any time by contacting info@logsol.net, referencing this Policy in the email subject line, using the body of the email to say what consent you are revoking.